Royal Torbay Yacht Club has been at the heart of sailing in Torbay for over 150 years. The sheltered harbour offers fast and easy access to the racing areas. Additionally, Torbay is an internationally renowned sailing venue with some of the finest sailing waters in the world. Our Victorian clubhouse and terraced garden have panoramic views over the racing area. The clubhouse also offers a stylish restaurant, intimate private bar and excellent facilities. 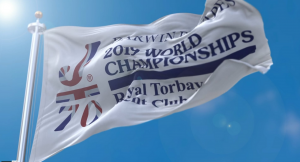 Royal Torbay Yacht Club’s world-class race management team look forward to welcoming the J/70 sailors in 2019.